A350 XWB News: Technical challenge versus industrial ramp-up versus delivery schedule and versus flexibility for modifications. 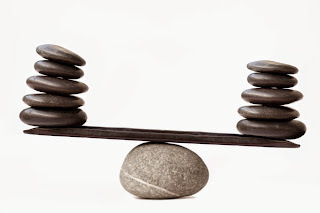 The balance for Airbus and it´s suppliers and risk sharing partners. Technical challenge versus industrial ramp-up versus delivery schedule and versus flexibility for modifications. The balance for Airbus and it´s suppliers and risk sharing partners. Airbus said it must strike a balance in the ramp-up of its new A350 between a sales force seeking to push out planes and engineers advocating a slower approach to permit changes before too many aircraft are built. The manufacturer wants to get production of the A350 up to 3 aircraft/month by the end of 2014 so customers can get their planes on schedule, said Didier Evrard. Lifting output while maintaining the flexibility for retroactive changes on a new plane was a challenge that also haunted Boeing on its 787 Dreamliner, which had to undergo fixes in areas such as the tail cone and electrical wiring on dozens of airliners already built. John Leahy, Airbus’s sales chief, has said he would like to see output lifted on the A350 to fill additional slots, particularly for the largest variant A350-1000. By 2018, Airbus wants to more than triple production of the A350-900 to 10 units a month. BMW interior for the A350 XWB … 7 years ago. A350 First-Flight Sequence: destination New York. Inside the MSN001 of the First Flight. Get Ready. 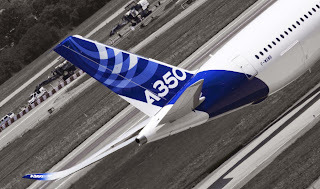 A350 XWB First Flight next week. MSN001 hand over to the Flight Test Team done.